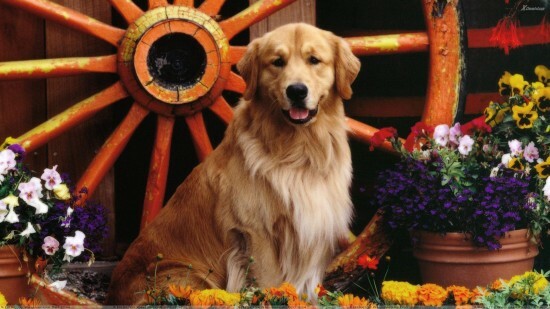 The designing of Goldadors targeted to combine the Golden Retriever’s sensitivity with the Labrador Retriever’s tolerance, which was actually successful. 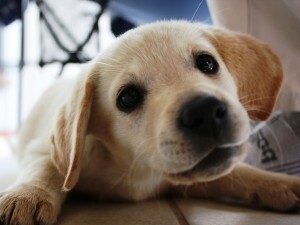 Similar to their parents, the Golden Labradors are best enjoying the company of the people they love. Their sharp intelligence and sociable nature recommend them for all kinds of activities such as therapy, service, guidance, rescue and search and bomb detection. This type of dogs require a daily session of physical exercises, at least for half an hour. As their parent’s name points out, they have a preference for games that require retrieving objects, but they also enjoy a lot swimming and hiking. The Goldadors reach physical maturity between one year and a half and two years and, once this happens, they become exquisite jogging partners. As almost their entire line of ancestors were used to working closely with people, the Goldadors inherited these traits and are easy to train. This means that it’s always a good choice for a dog for people never owning a dog before. But in order to reach the desired level of training, they do need to receive the necessary daily exercises, all cluttered with positive reinforcements. The Goldadors are extremely suitable for families with children and they are very happy to take part in all group activities. Because of their need for physical exercises, the ideal home for the Goldador is a house having a fenced yard, but they can adapt even in condos and apartments, provided they are taken out for walks, runs and playing. But, as mentioned before, he loves living with the people they care for, so they are mostly indoors dogs. One other reason for why the Goldadors need their daily exercises is the peril of becoming overweight, due to the pleasure they take in eating. 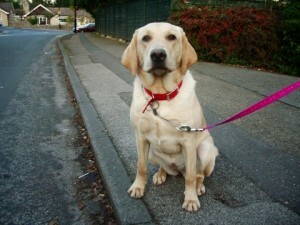 Extremely trainable, the Goldadors are very suitable for people who want to get a dog for the first time. These dogs have moderate shedding level, but they require weekly brushing nevertheless. Great family dogs, the Goldadors get along well with children in general, no matter the age. It is the same with other pets, including dogs, especially when they are able to socialize with them from an early age. The Goldador is adaptable to living in apartments and condos if offered the opportunity for at least half an hour of daily exercises, but the ideal residence is a house with a fenced yard. They are good jogging companions and love all outdoor activities. If looking to buy a Goldador puppy, it’s best to turn to reputable breeders rather the pet stores and puppy mills, as they are able to provide some health certificates that the parents were cleared for genetic diseases and were suitable for breeding. The birth of this crossbreed took place more than ten years ago and was the proof that the desire to obtain a tolerant, friendly and sensitive dog by crossing the Golden Retriever with the Labrador Retriever was successful. This is one of the main reasons why the organizations for guidance and assistance dogs training choose to use them often. From a companion dog point of view, the Goldador is not the most popular, as other ‘designer’ dogs are preferred, such as the Labradoodle. The Goldador has no standard created as yet and it seems there are no efforts made in this direction. With the parents similar in size and weight, the Goldador’s measurements are also easy to predict. They weigh between 25 and 35 kilos and reach up to 60 centimeters tall at shoulder level. The Goldador is loyal and loving, but he can be at most a watch dog, as he’s too friendly to be used as a guard. He gets along with children and other pets, especially the ones he’s been able to socialize early with. Intelligent and obedient, the Goldador is very trainable, especially when positive reinforcements are used. Although he’s perfectly able to think and work independently, he prefer having the company and guidance of a human. The earlier he’s allowed to get in touch with a variety of people, pets and sights, the better for the dog’s future behavior and personality. The Goldadors, like any other dogs, are prone to some health conditions, even if it often happens that none of them actually occur. However, it’s always important, as an owner, to be aware of all the risks your dog is exposed to. 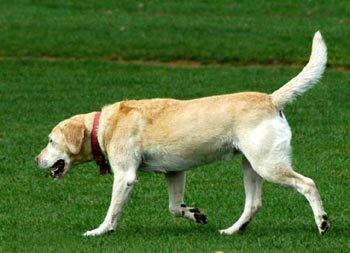 Some of these conditions are hereditary, such as the Hip Dysplasia. In this case, the thighbone does not properly fit in the hip joint. When this condition occurs, the dogs usually show signs of pain and discomfort. This can also be identified through X-rays. Even if it comes through hereditary channels, this condition can be influenced negatively by falls and injuries, or even by a high caloric diet. Also a hereditary disease, the Elbow Dysplasia is believed to occur when the bones forming the elbow have different rates of growth. Depending on each case, the veterinarian can recommend either medication along with weight control, or surgery. Cataracts are eye diseases which manifest as opaque forms on the dogs eyes’ lenses, conferring a cloudy aspect. Most often, cataracts occur at older dogs and can be surgically corrected for vision improvement. Similar to humans, the dogs can also develop Diabetes mellitus. This disorder consists of the absence of insulin, usually produced by the pancreas, which is the only substance that allows the glucose in the blood to pass into the body cells, where it is actually needed. A dog suffering of diabetes will have an increased appetite, but will lose weight as the food will not be used effectively. This disorder cannot be cured, only treated, with daily insulin shots and a proper diet. Another disorder that can affect Goldadors is the PRA – the Progressive Retinal Atrophy, which eventually leads to blindness due to losing the photoreceptors located in the back of the dogs’ eyes. Fortunately, even if blind, dogs are still able to live happily, as they make good use of their other senses. They need to be taken regularly to veterinarian controls and it’s highly recommended not to be bred in order not to perpetuate the disease. Buying a Goldador requires some research with regards to the health aspects in the lives of both parent breeds. Ideally, both the Golden and the Labrador Retrievers have the proper clearances from the Orthopedic Foundation for Animals – for matters concerning elbows, hips, thyroid and heart of the dog – and the Canine Eye Registry Foundation – proving the eyes are healthy. As a responsible owner, it is very important to ensure both physical and mental well-being of the dog. A lover of the outdoor spaces, the Goldador ideally needs a house which also has a fenced yard available. Nevertheless, these dogs will adapt even to apartments and condos, but no matter where they live, the Goldadors will always need daily exercises in order to keep fit. With the proper training, they will make exquisite participants in fly-ball and agility contests. Additionally, don’t forget to stimulate their minds by practicing fetching exercises and allowing them to play with some interactive toys when possible. These dogs are sensitive and affectionate and they respond best to positive reinforcements, while the harsh ones will make them sad and affect their self confidence. Best is to feed your Goldador with two daily meals of high quality food, but totaling not more than 1 kilo at most and 0.7 kilo at least. However, the quantity of food a dog should receive is influenced by multiple factors such as level of activity, age, metabolism and size. Similar to people, dogs aren’t all eating the exact same amounts as they are distinct individuals. It’s obvious that a highly active dog will eat more than others with less attraction towards physical exercises. Also, it’s important that the food is a high quality one, so that the dog can really enjoy it and not just leave it in the bowl for long whiles. Normally, the Goldador inherits the coat type from his parents, meaning two layers of coat: one shorter and softer and another one longer and thicker. Depending on which parent’s genes are dominant, the color of a Goldador will range from yellow to gold and reddish gold and, more rarely, black. This dog should be brushed on a weekly basis with a rubber brush in order to remove dead hairs so that they don’t spread around the home. Daily brushing is highly recommended during the higher shedding periods which are mostly seasonal. Not only needed, the dog will enjoy a good swim, accompanied by a bath or rinse. Other grooming activities consist of weekly cleaning and drying the ears, as the Goldador is prone to catching ear infections. Teeth require brushing several times per week, in order to ensure good oral hygiene. With regards to the nails, the shorter they are, the better, as the dog won’t scratch you too badly in a manifest of affection towards you. It’s always recommended to get your Goldador used to grooming when he’s a little puppy, combining these activities with positive reinforcements to make it a pleasant experience for the dog. Also, regular health checks should be carried out and it will be easier if the dog is already accustomed to them from the early stages. The Goldadors are easily becoming good family members and they love being among people of all ages, even though they are a bit over-enthusiastic sometimes and can slightly hurt smaller children in an attempt to play. Otherwise, sociable beings, they get along very well with children in general and other pets, especially if they are acquainted from early ages. It’s best also to teach the children how to interact with the Goldador and supervise their interactions so that no biting or tail and ear pulling occurs. Dogs can also be a bit moody and unfriendly when sleeping or eating, so one needs to prevent children from bothering them during these activities. Goldadors are more likely to be found for adoption at local animal shelters, since no rescue groups for this breed of dogs is running officially. Adopting a Goldador that is not quite a puppy can work well for people wanting a dog without having to face the early puppy stage when the dog needs basic training and may go a bit destructive. This entry was posted in Golden Retriever Mix, Labrador Retriever Mix. Bookmark the permalink. Thanks for so much information on the Golden Labrador. I am 20 years old and want to have one for myself but can’t find a breeder. I live in Indore, Madhya Pradesh, India. I know this seems lame but do you have any idea about breeders here, in India?